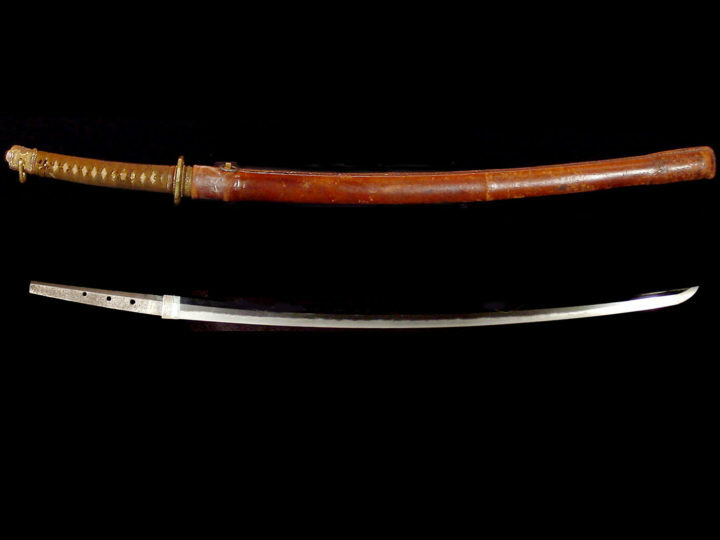 This is an interesting katana probably by the fourth generation Fuyuhiro. 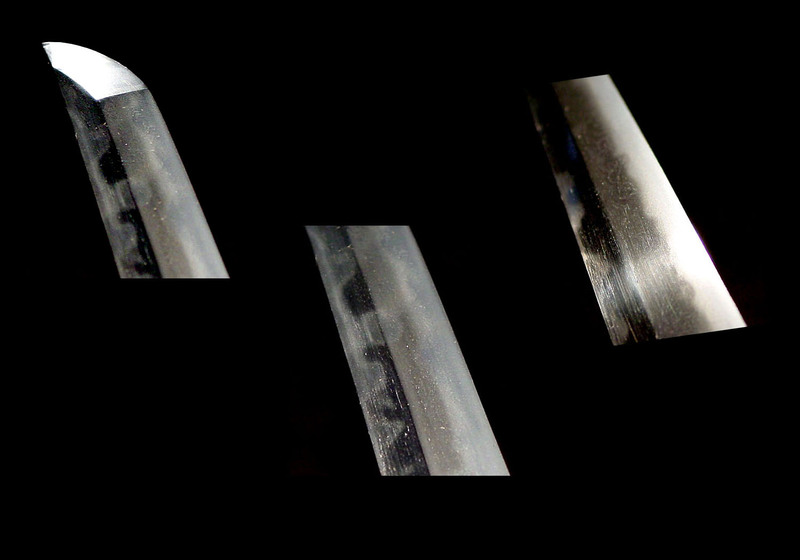 The Fuyuhiro line of smiths started from the Soshu smith, Hirotsugu in the middle of the 15th century. 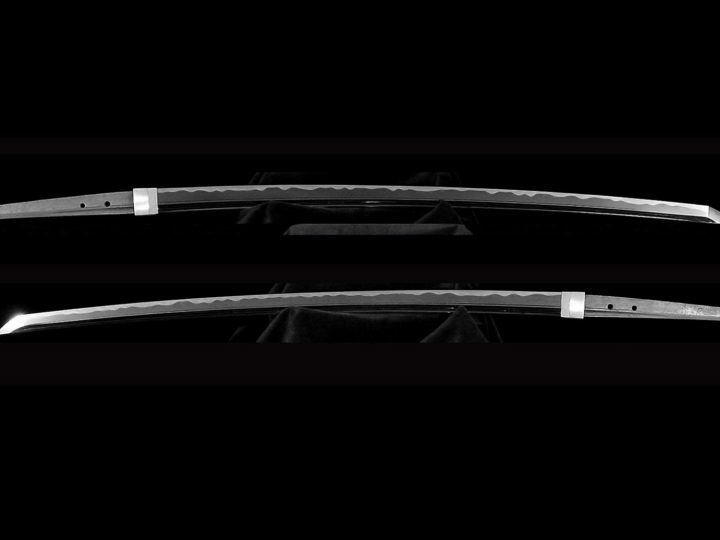 They continued as an unbroken line of smiths right up until the Meiji Restoration in the late 1800’s. 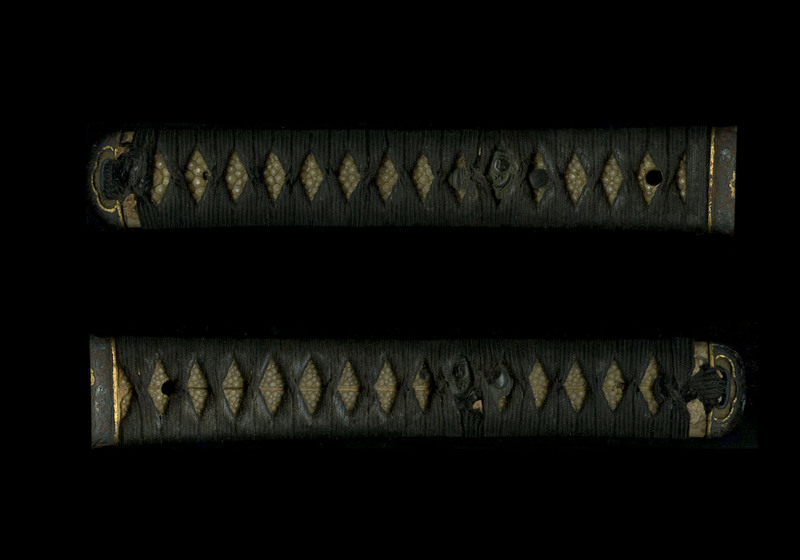 This sword has been judged to have been from the early Edo period which would put it right about the time of the fourth generation. It was shortened in the middle Edo Period and bears a shortening signature of Jakushu (Wakasa) Ju Fuyuhiro Shotoku San Nen Ni Gatsu Ageru. 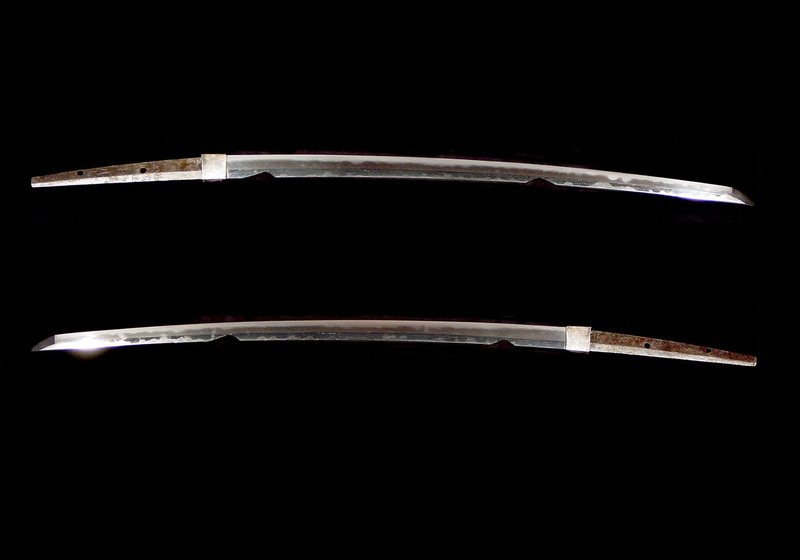 This means that this is a sword by Jakushu Ju Fuyuhiro that was shortened in February of 1712. 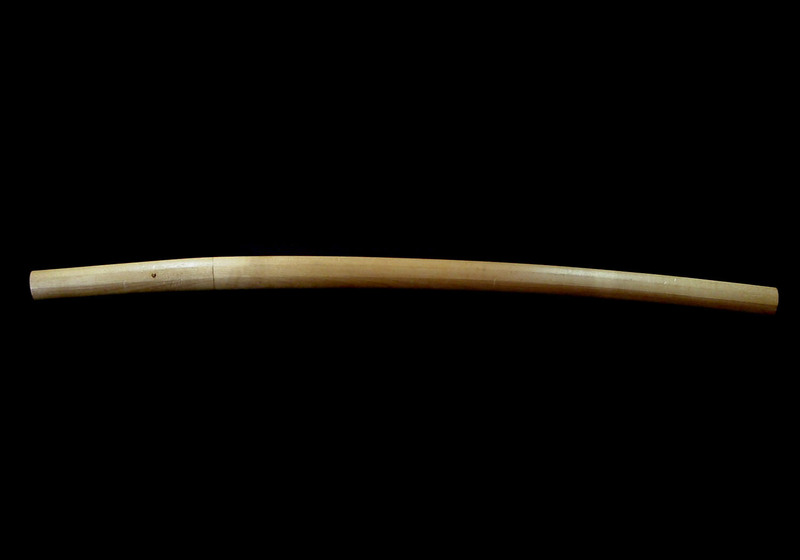 The shape is shinogi-zukuri with what is now a shallow koshi-sori. It was probably more of a Torii sori before it was shortened. 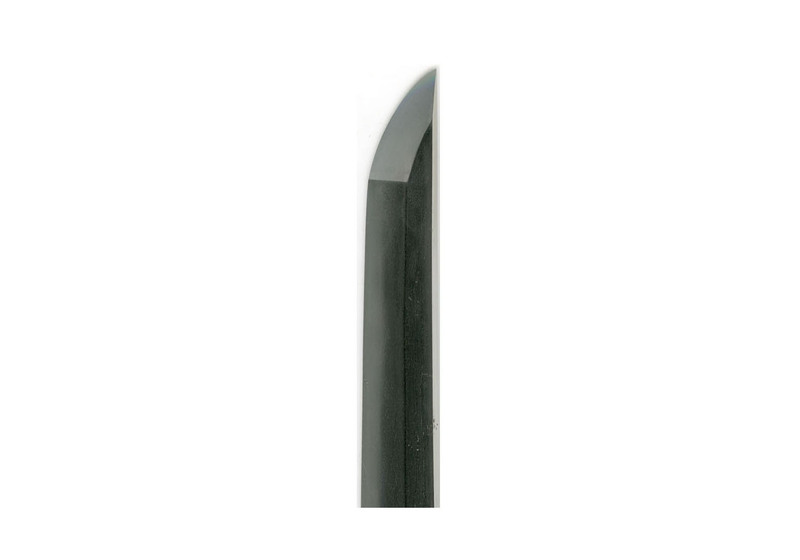 The cutting edge is still 65.1 cm or 25 5/8 inches. 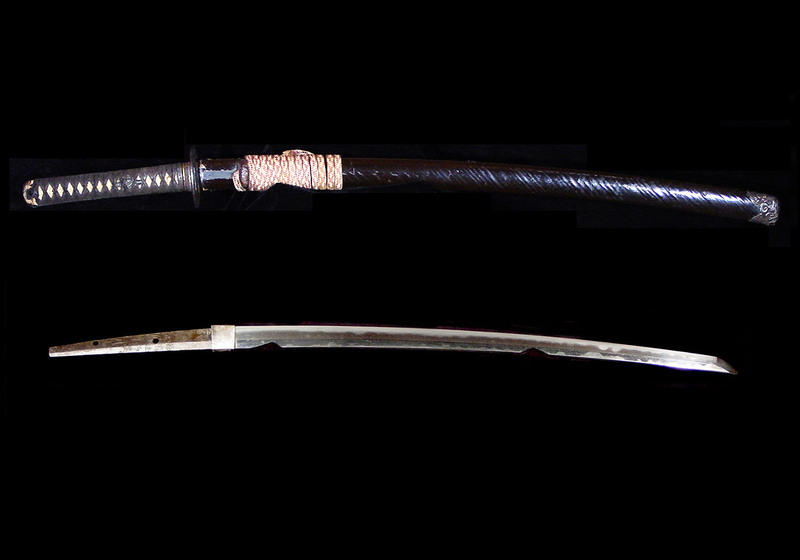 The moto-haba is 3.05 cm or 1 3/16 inches and the saki-haba is 1.92 cm or 3/4 inches. 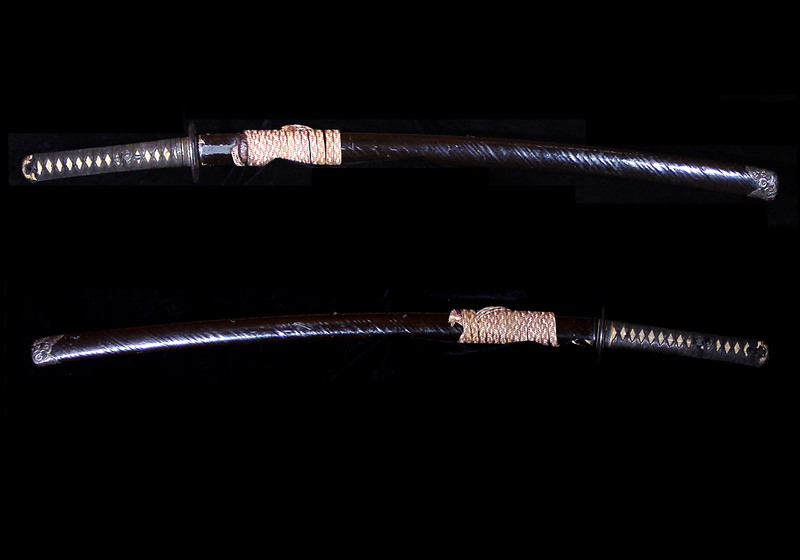 The hamon is gunome-midare with a lot of tempering on and above the shinogi giving it a hitatsura appearance. The hada is ko-itame. 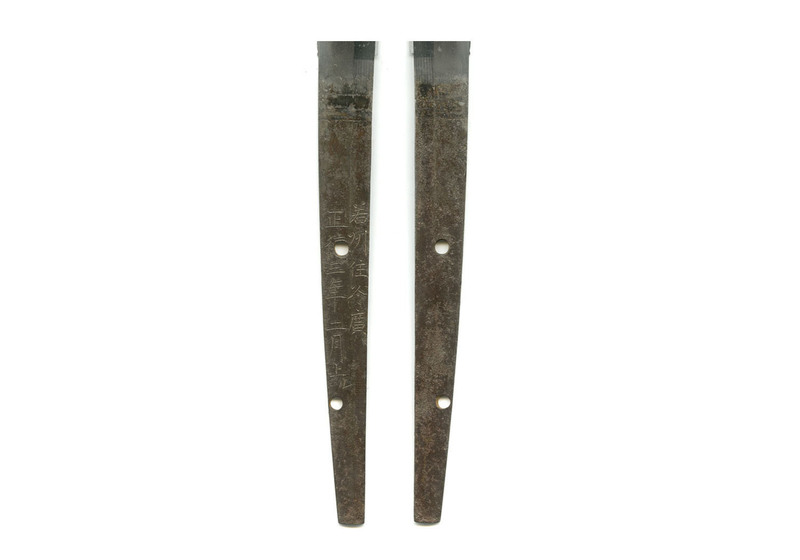 This blade is in an older polish with some rubbing and a few spots of old rust. 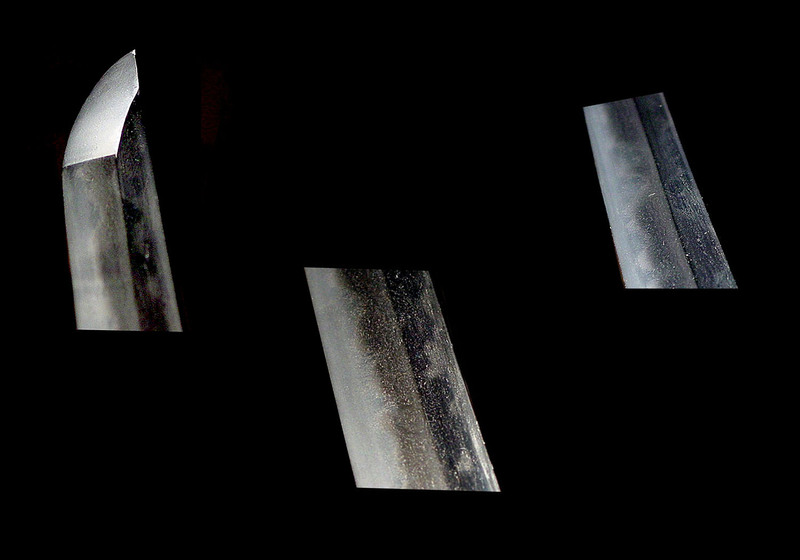 It would look great with a light touch-up polish. 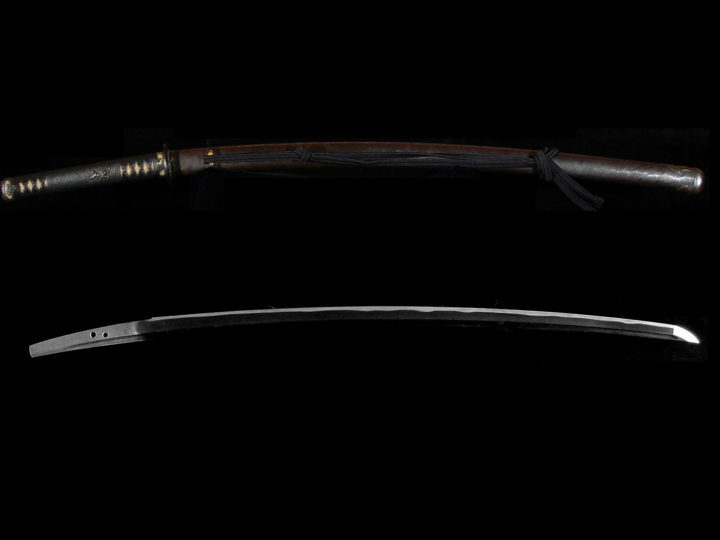 It somes with a utilitarian set of Samurai koshirae that encased it during the late 1800’s when it was last worn by its Samurai owner. They show considerable use which adds to its charms and historical significance. 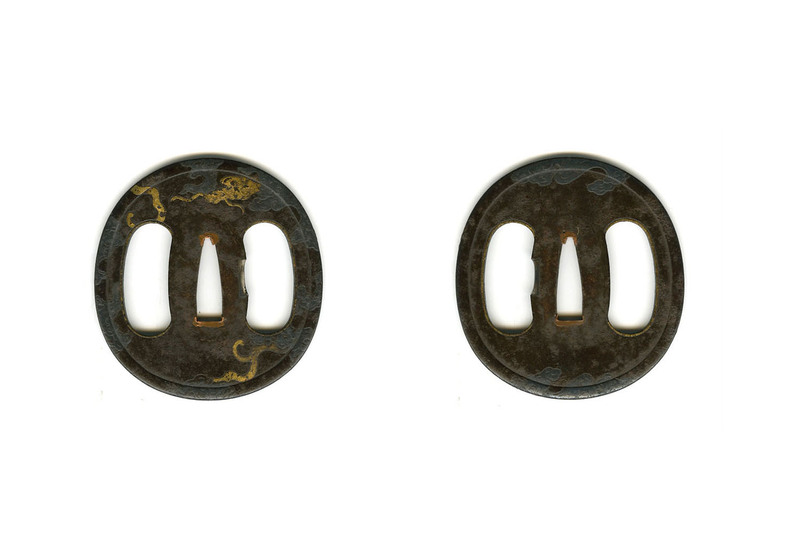 The mounts are Higo in design with a nice Higo iron tsuba and a Higo fuchi and kashira. 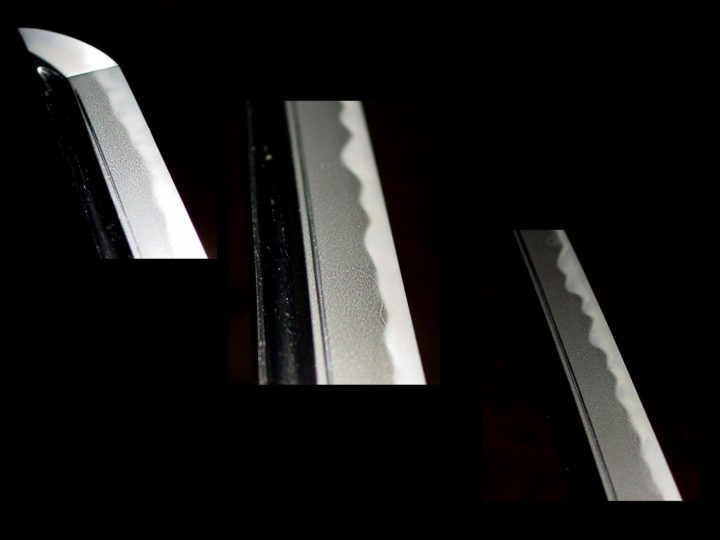 There are some chips to the lacquer of the saya, especially around the koi-guchi. The handle wrap needs some minor repair also. 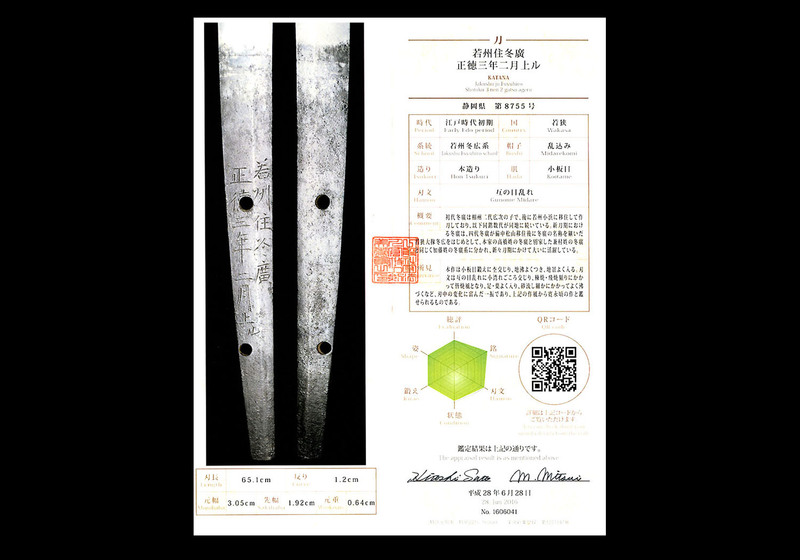 This sword comes with a certificate of authenticity issued in June of this year by the Japanese Art Museum of Kurashiki in Okayama, Japan.